At Excelsis Accounting Group, we specialize in divorce accounting services and can help you get the justice you deserve. We're often brought in to investigate complex situations involving hidden assets and lifestyle changes related to a divorce settlement. 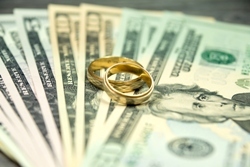 In some divorce cases, one spouse might attempt to conceal assets in an effort to reduce equitable distribution, but we'll dig deep to bring these assets to light. You can count on us to ensure a fair distribution of the entire marital estate in your divorce case and perform Pereira/Van Camp analysis when needed. We will also act as a reliable expert witness or assist in mediation for those who desire to avoid the emotional distress and expense of public divorce proceedings. Find out how an experienced forensic accountant can make all the difference in equitable distribution of assets, fair child support calculations, and other aspects of divorce accounting. Call Excelsis Accounting Group at 775-332-4201 and ask for a free initial consultation today.